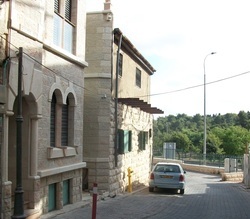 Old Katamon’s unique style and charm gave way to it being known as “The Flower Garden of Jerusalem.” Dating back to the British Mandate, Old Katamon is bounded by the neighborhoods of Talbiya in the northeast, and the German Colony and Greek Colony to the southeast. 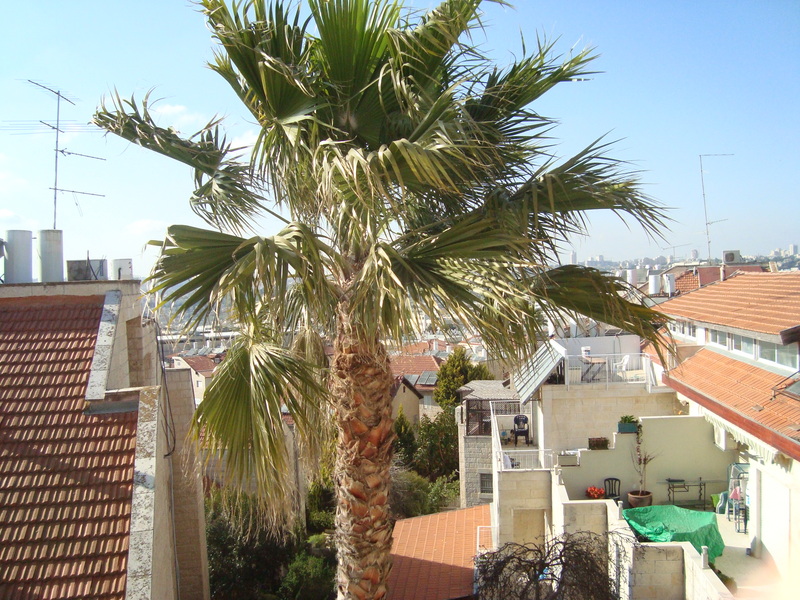 The neighborhood borders are Rehov Rachel Imenu, Hizkiyahu Ha’Melech Street and Kovshei Katamon which connect to the popular shopping and dining centers of Emek Refaim and Rehov HaPalmach. 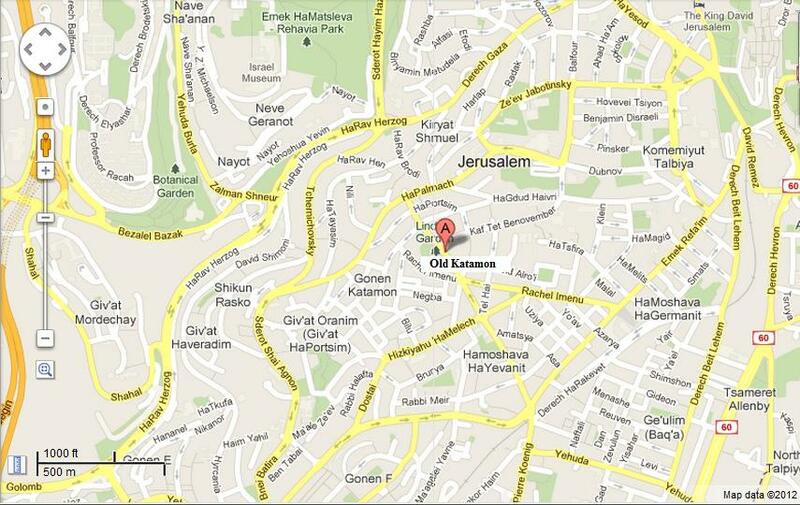 When you enter Old Katamon you feel you’re entering a real neighborhood. 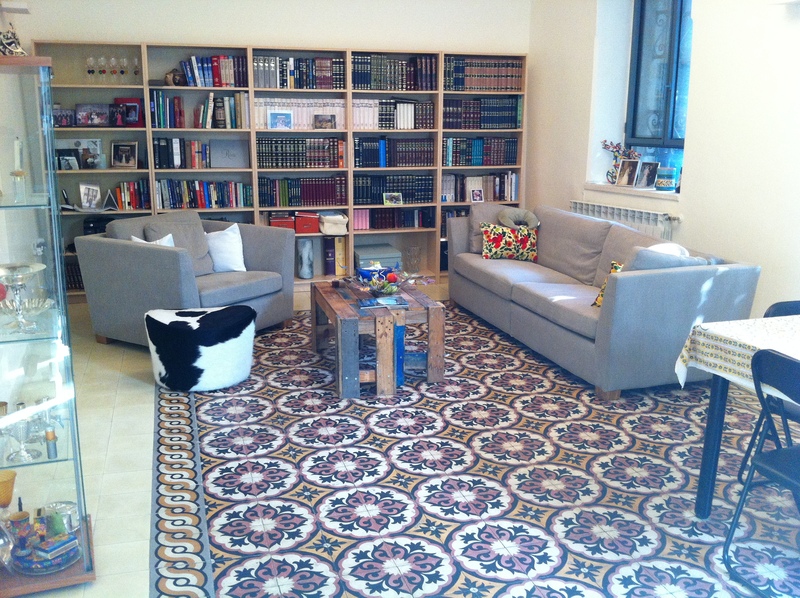 It’s home to singles, young families, empty nesters and the elderly residents who harmonious blend secular, traditional and religiously observant lifestyles. 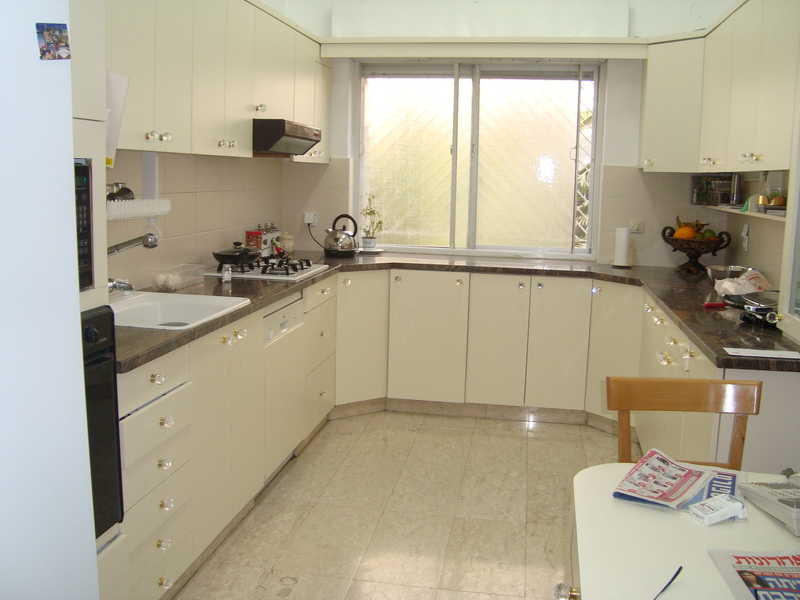 Conveniences of living in Old Katamon include local shopping, cafes and restaurants, public transportation and easy access to nearby major shopping centers in Talpiyot and Malha. 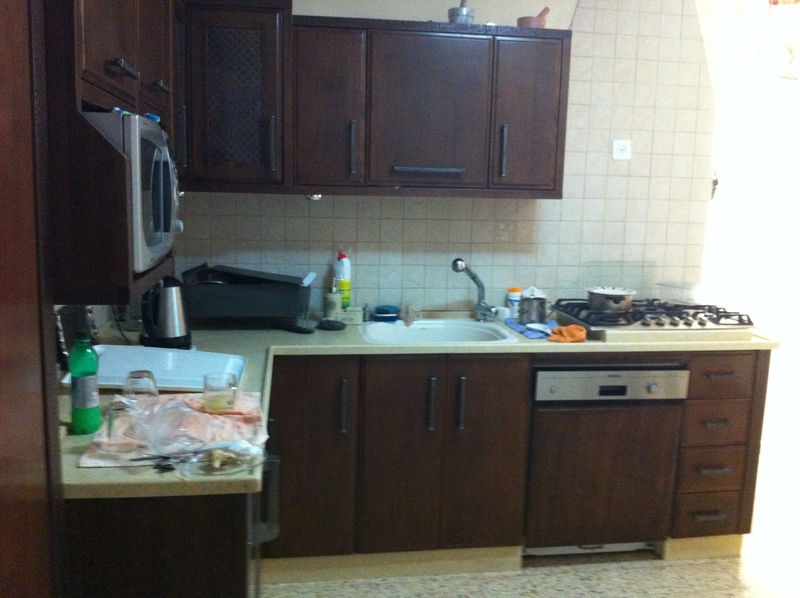 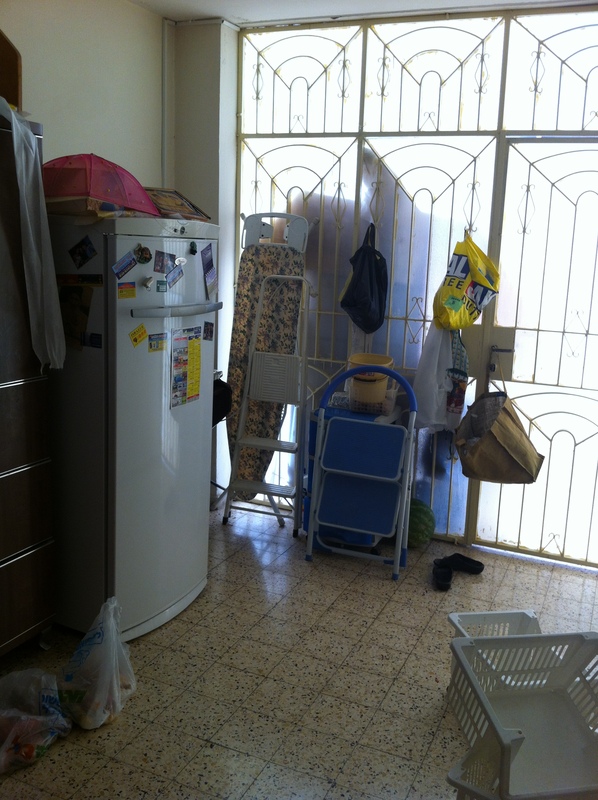 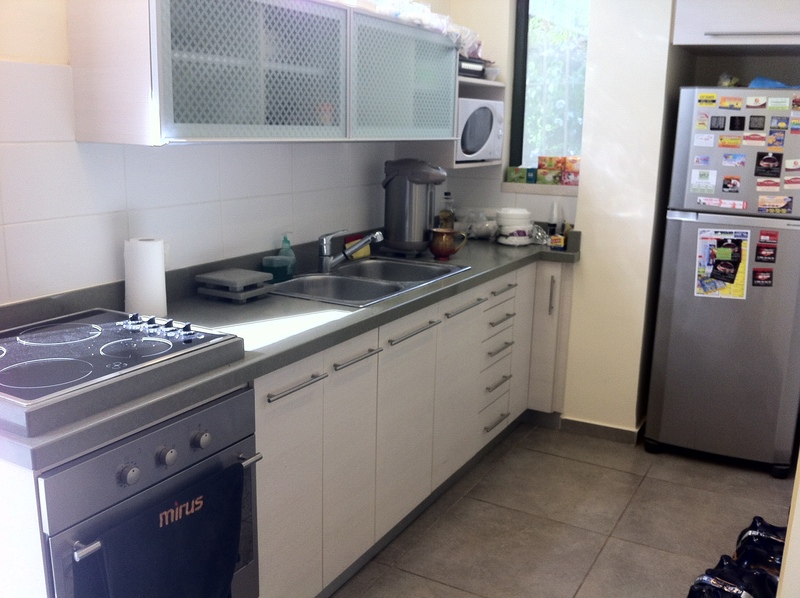 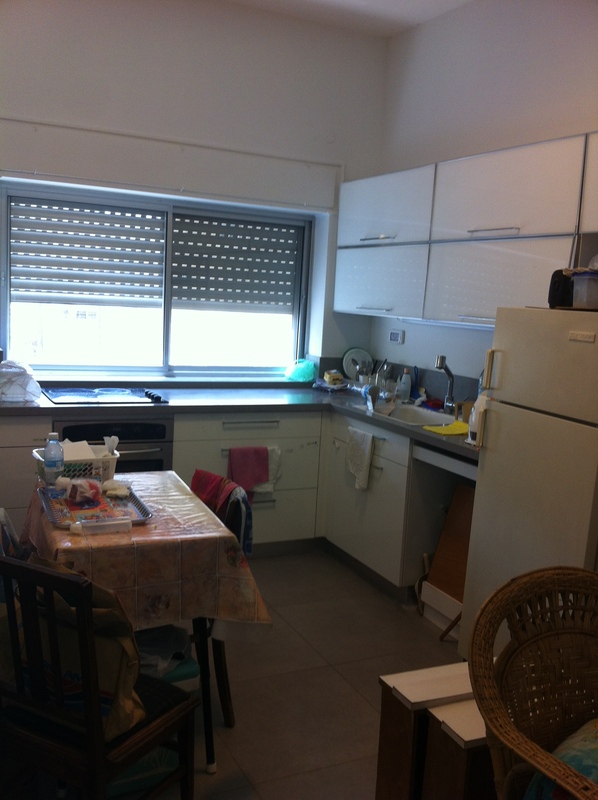 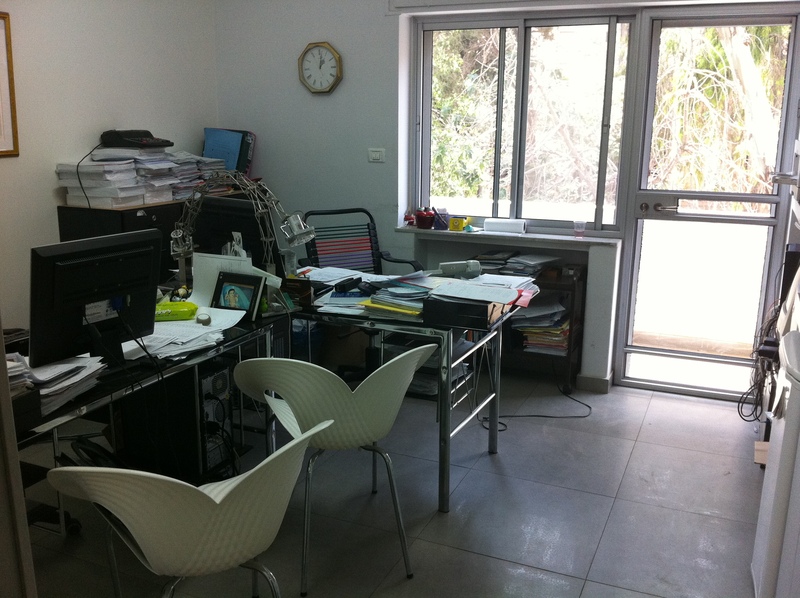 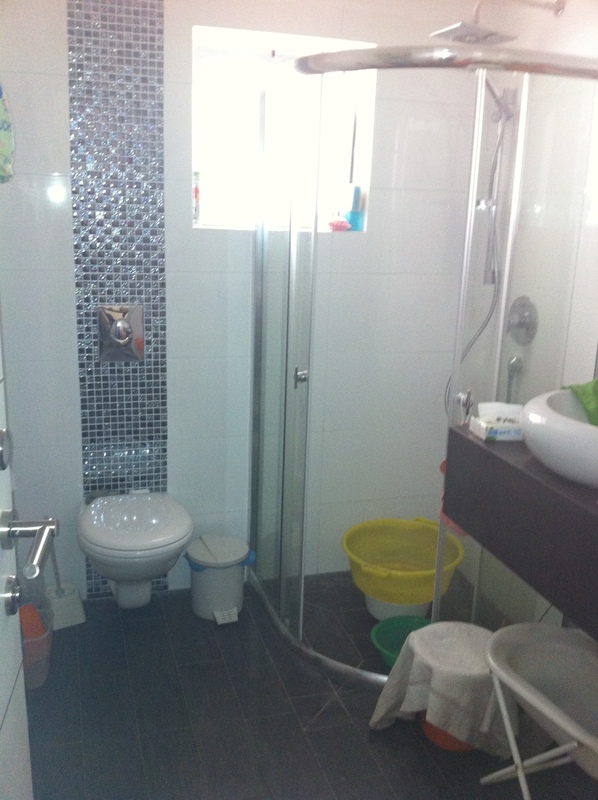 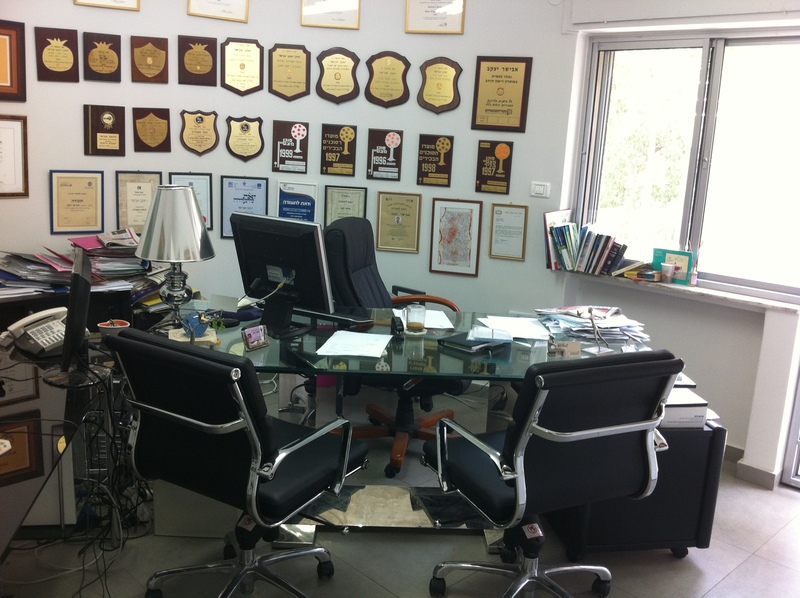 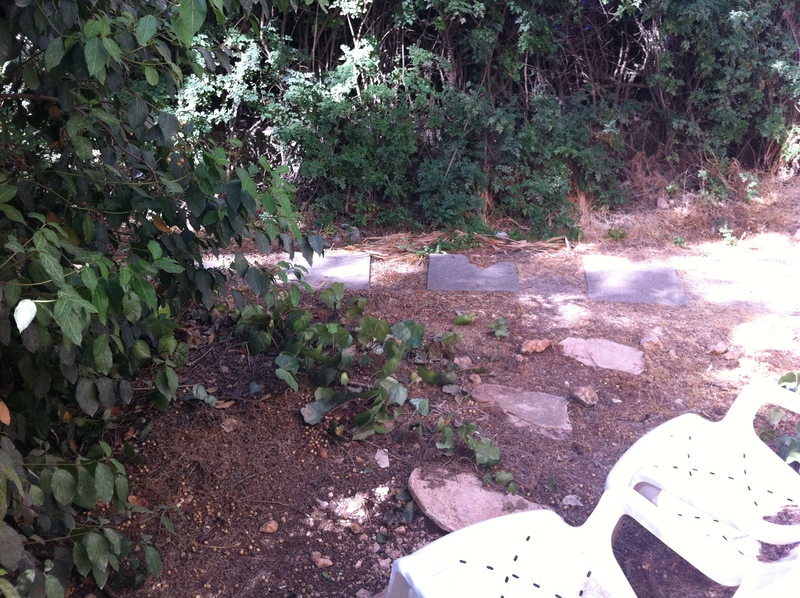 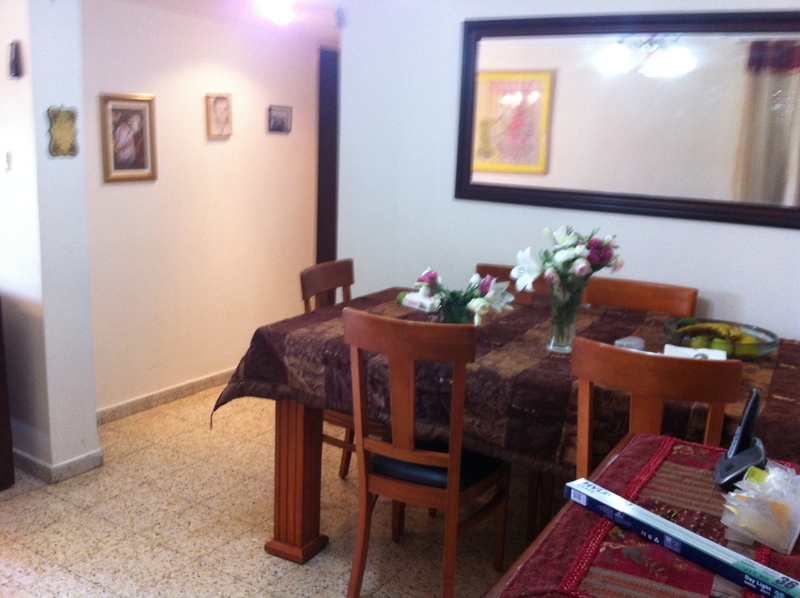 This apartment is located in the new section of Arnona on Rehov Eliyahu Lankin. 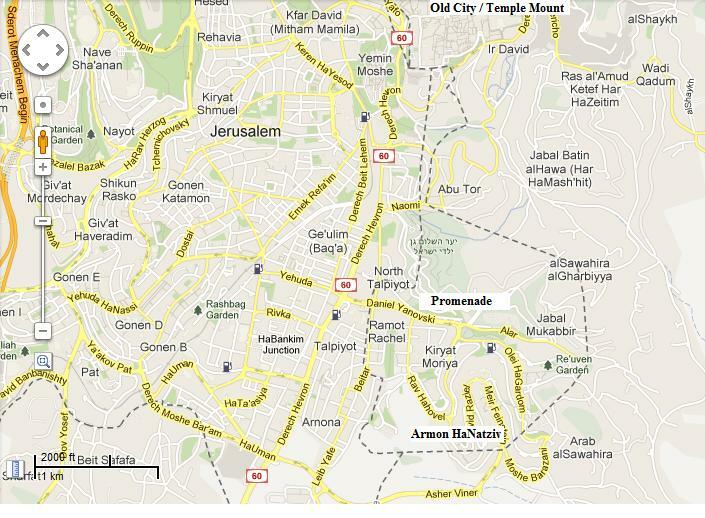 Armon HaNatziv, also known as East Talpiyot, is located just east of Arnona and south of the renown Armon HaNatziv Promenade that overlooks the Old City, The Temple Mount, Mount of Olives and all the hills and valleys in between. 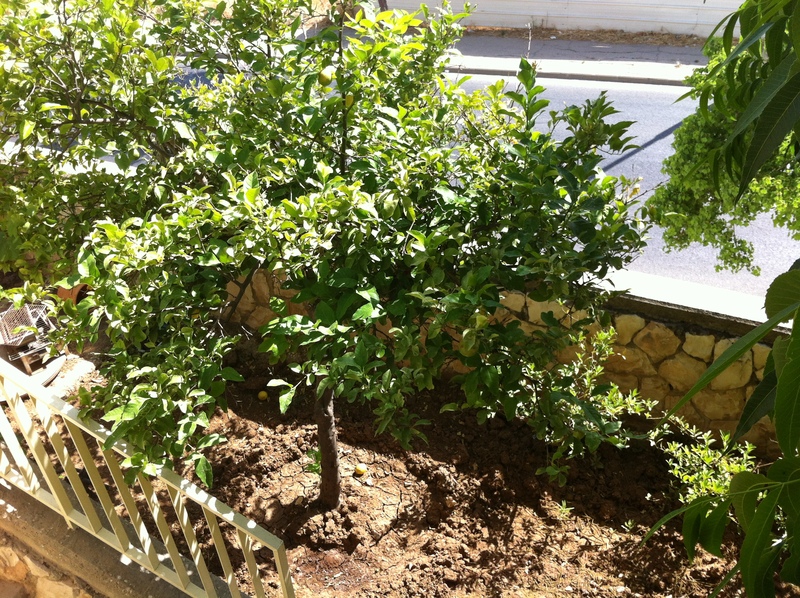 This is the view of Arnona Valley along with a picture of the fruit trees in the garden – both views as seen from the patio. 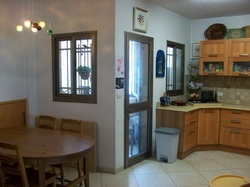 For Sale: Renovated 3 Bedroom Apartment At The Center of It All !!! 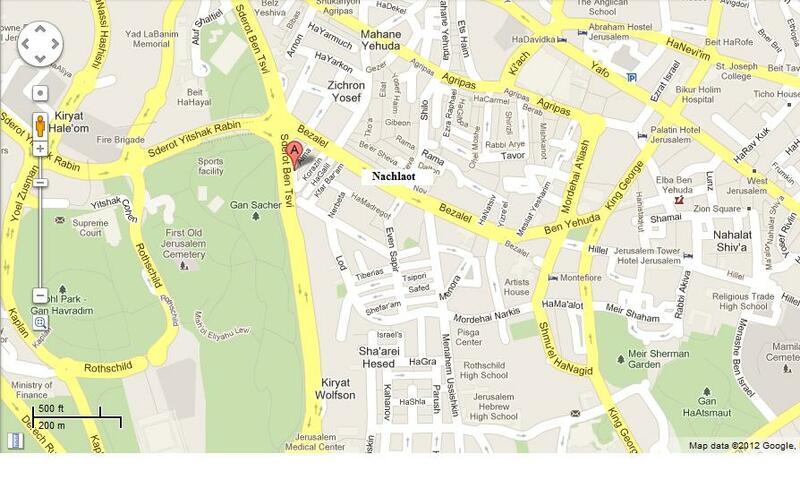 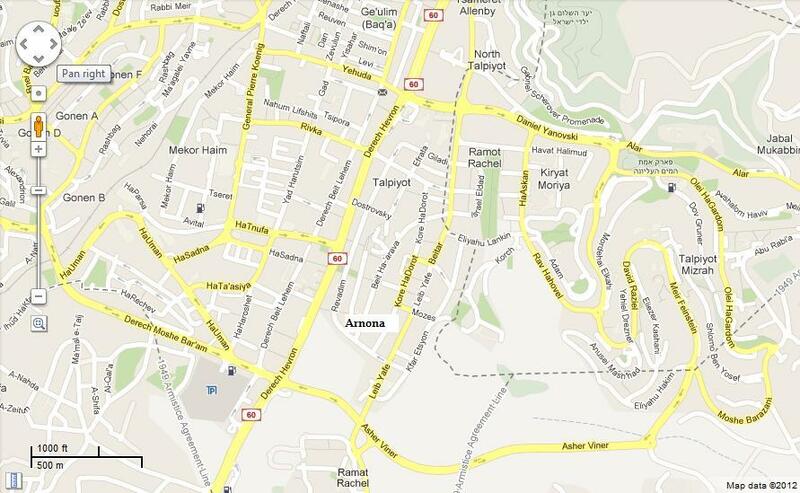 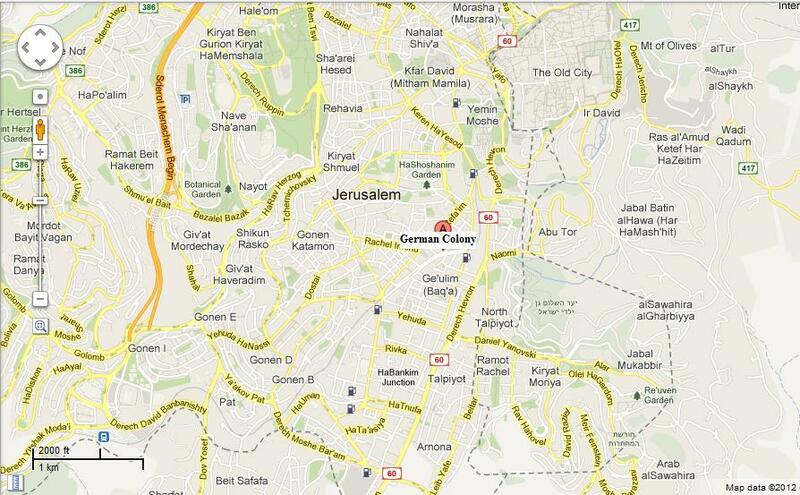 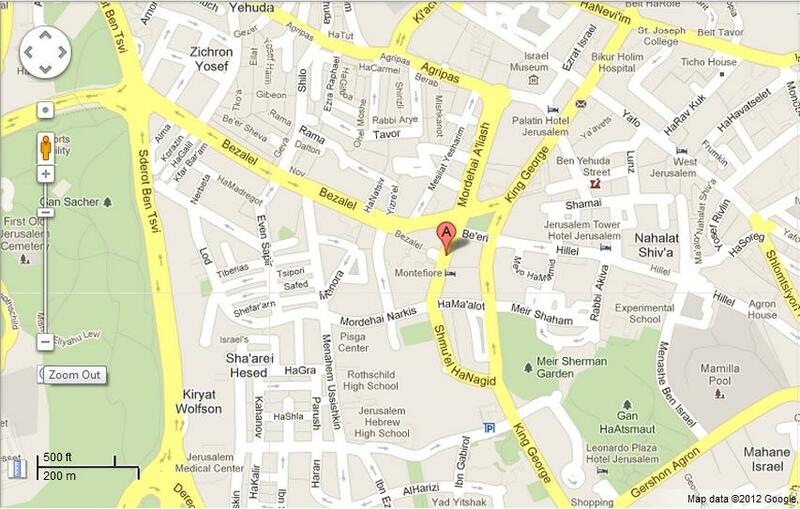 This location is the the Center of the Center of Jerusalem. 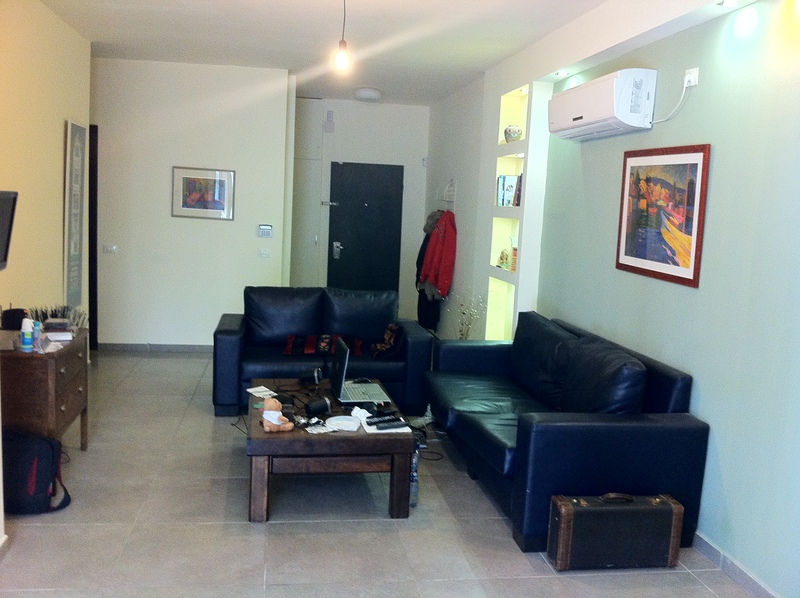 Located on Rehov Shmuel HaNagid where Rehavia, Nachlaot and City Center meet, residents enjoy the convenience of having everything just a few foot steps away, including shopping, restaurants, public transportation, business districts, cultural centers and much more. 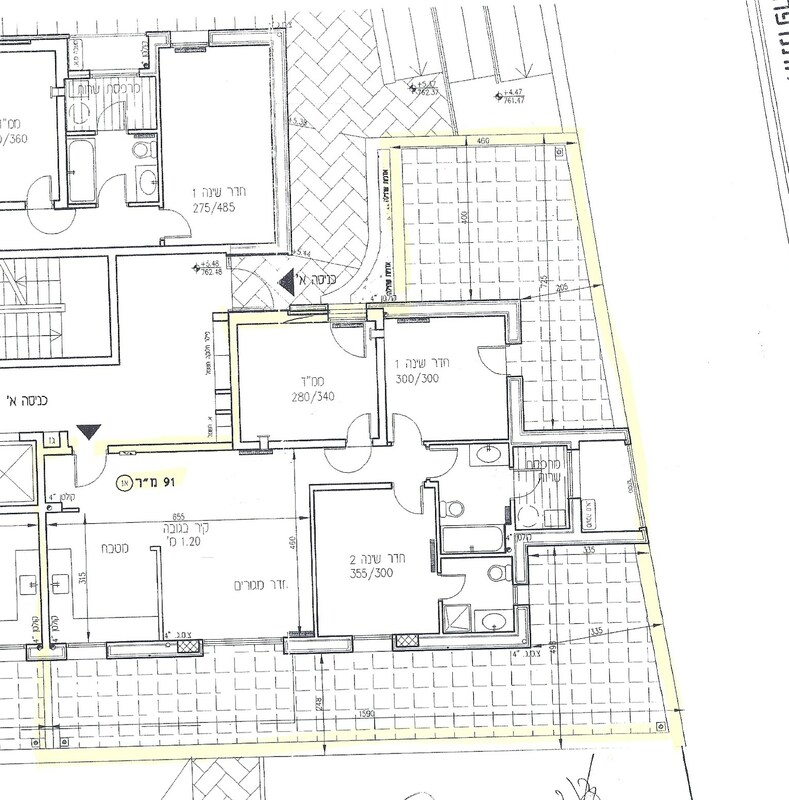 This is a view of the floor plan of the apartment as you walk in the door. 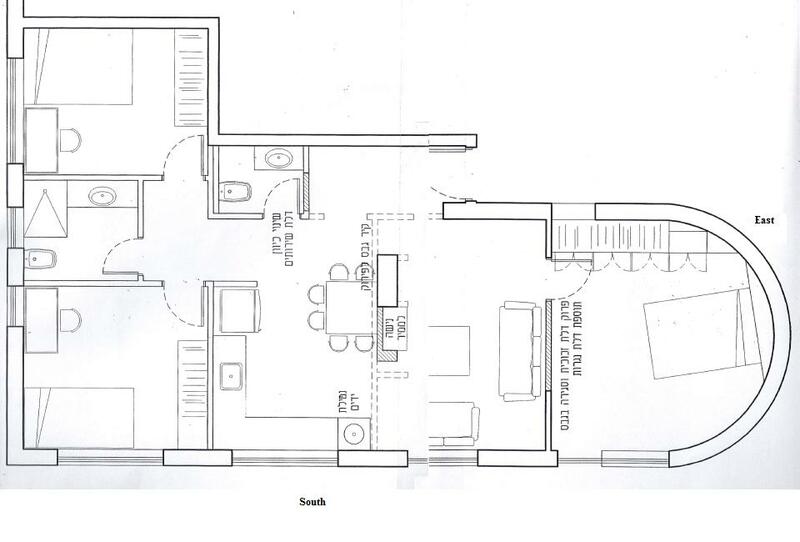 Note circular wall is on the eastern side of the apartment and that the balcony runs along the southern side of the apartment wrapping around the circular wall. 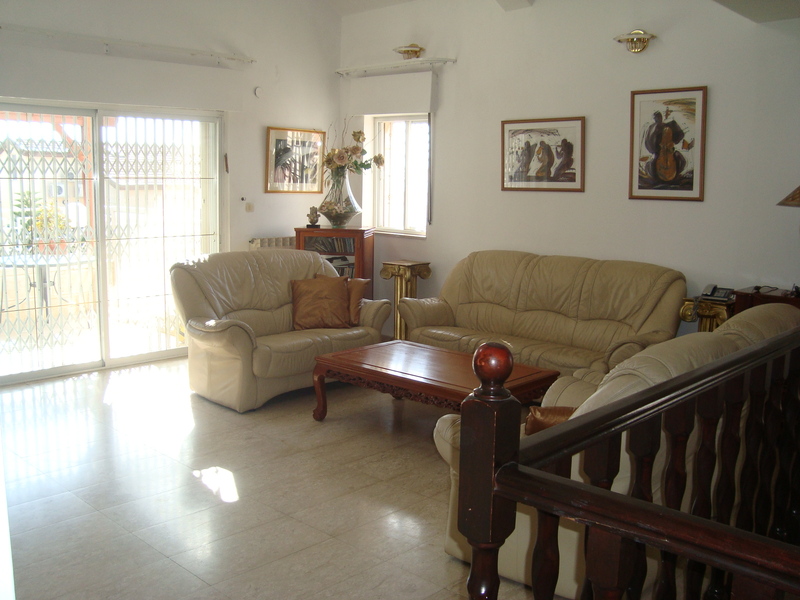 Though presently divided into two units (office and apartment), this property can easily be combined by removing one wall to create a very open and spacious living room, dining area and kitchen area. 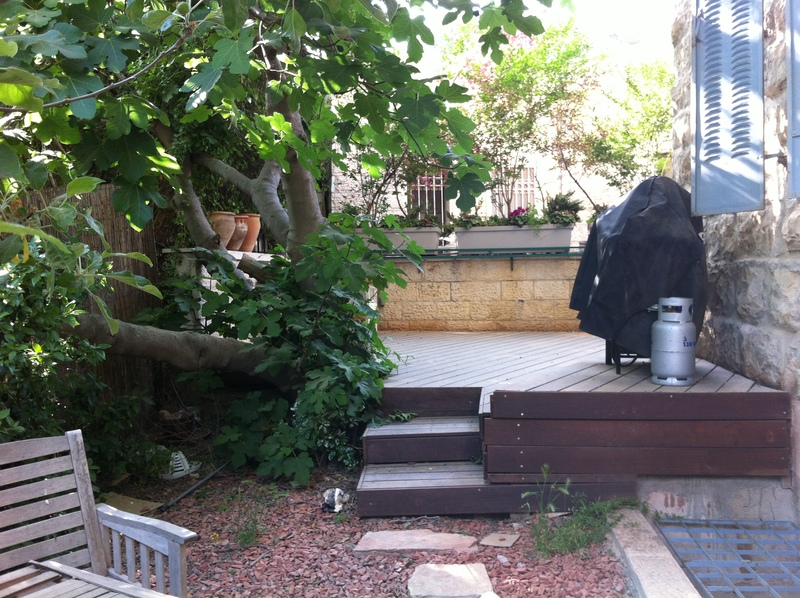 Date of occupancy is flexible. 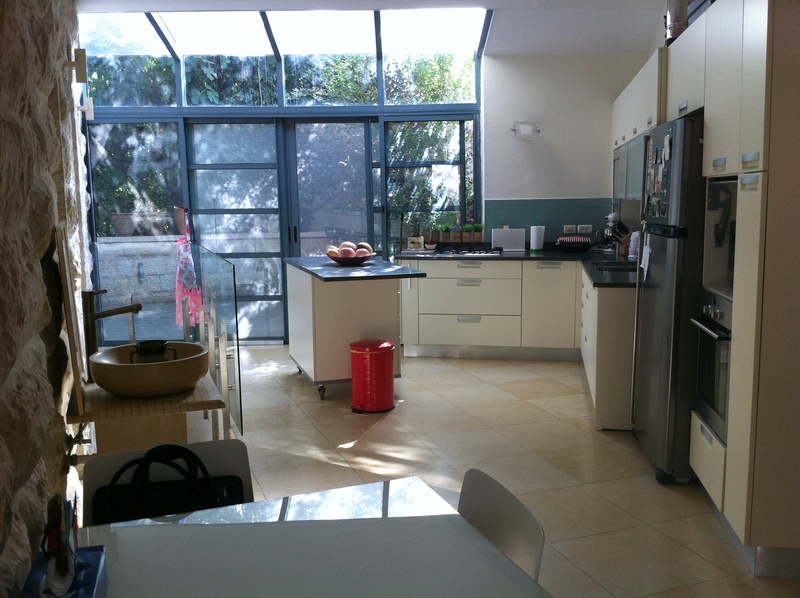 This stunning 4 room (3 bedroom) garden apartment has lots of charm and character … and is located right in the heart of the German Colony, one of Jerusalem’s more prominent neighborhoods. 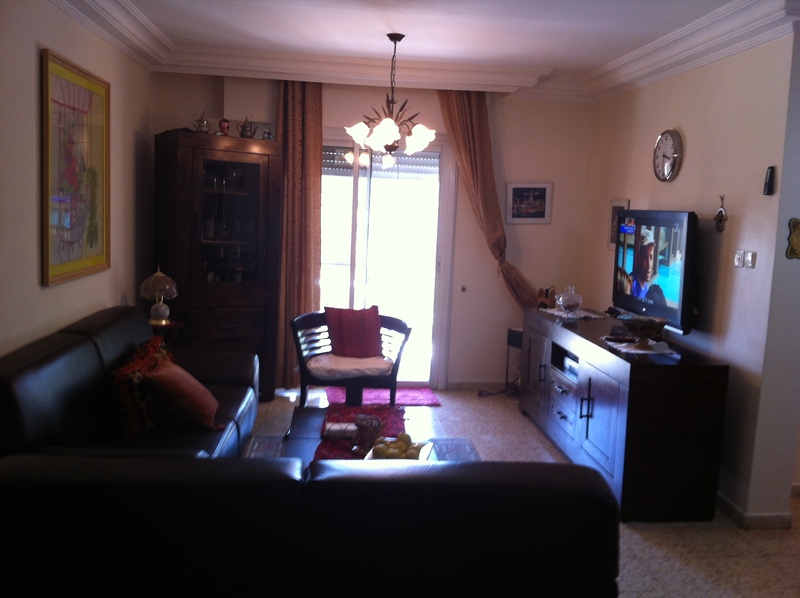 Total living area approximately 140 s.m. 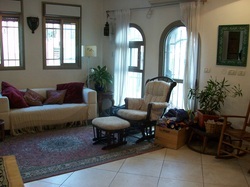 on two floors plus garden area of 80 s.m. 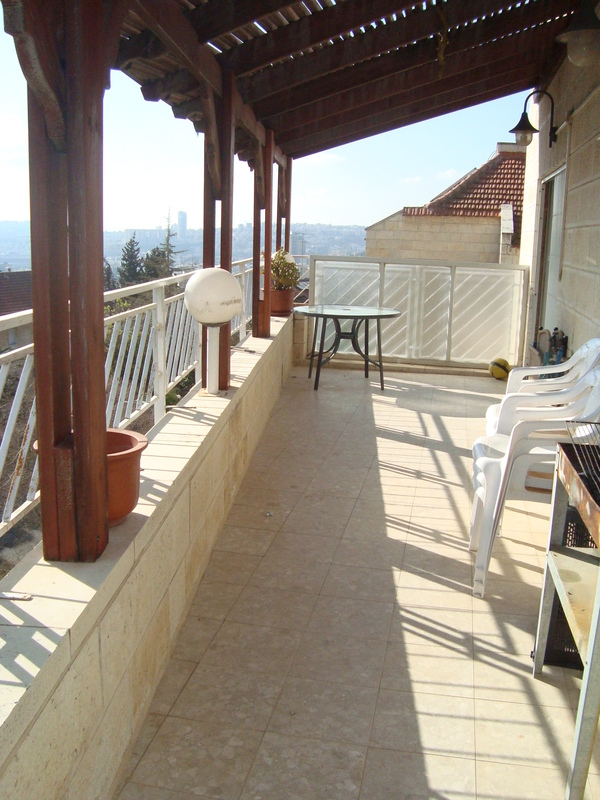 This home is located in the upscale neighborhood of Arnona which is one of the highest points in Jerusalem at 800 meters above sea level. 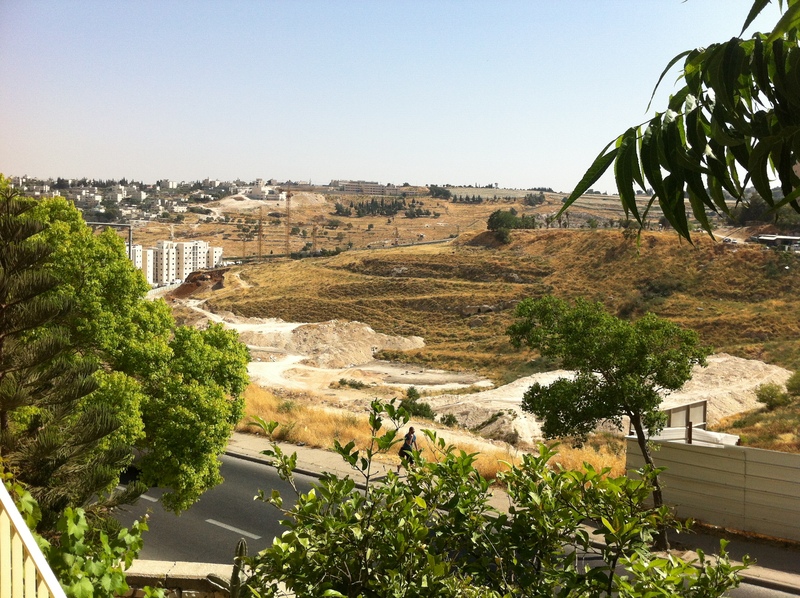 From Arnona one can see the Judean Desert, the Dead Sea, and the Arnona River. 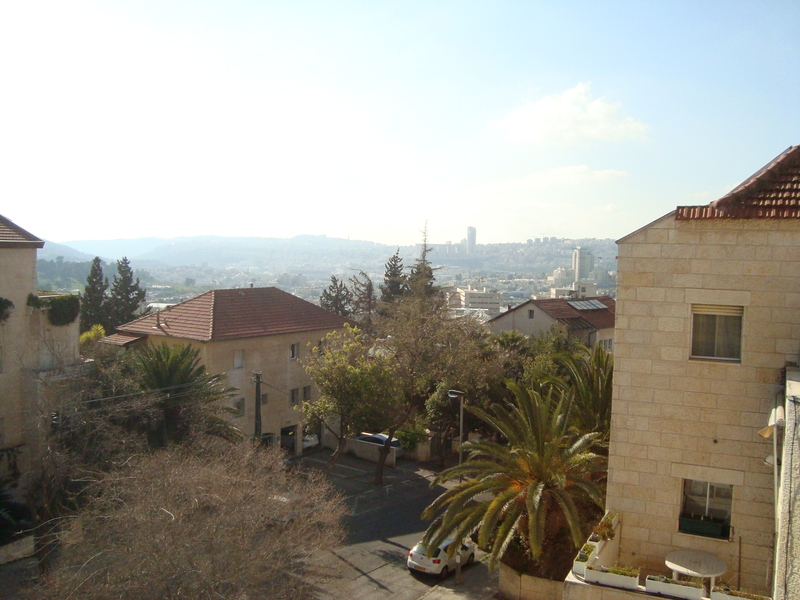 The neighborhood is bordered by Baka, Talpiot and Derech Hevron to the west, Kibbutz Ramat Rachel to the south, Old Talipot to the north, and the Judean Desert to the east. 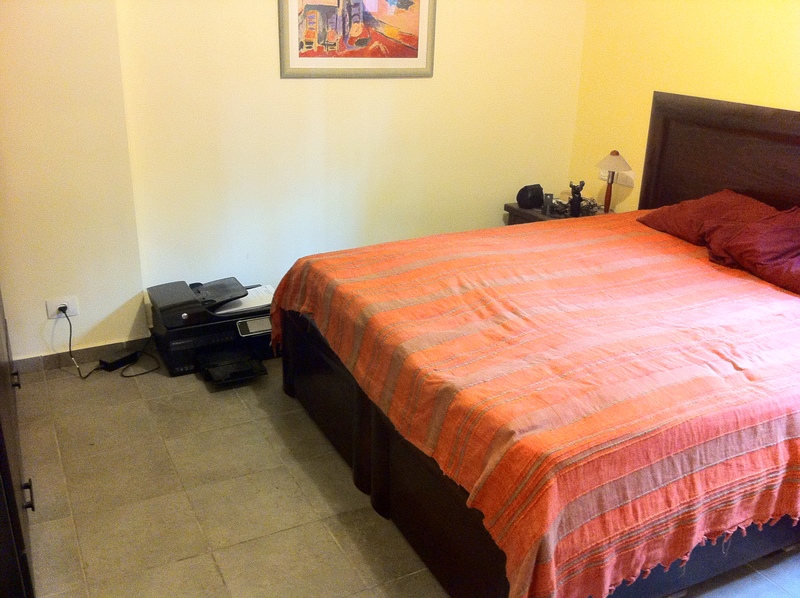 On the main level is a spacious living room, dining area with open space, high ceilings and large windows, upgraded kitchen, master bedroom with master bathroom and walk-in-closet, 1 W/C, and a balcony off the living room. 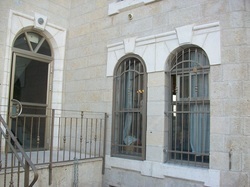 The upper floor is an open loft with incredible views of Jerusalem. 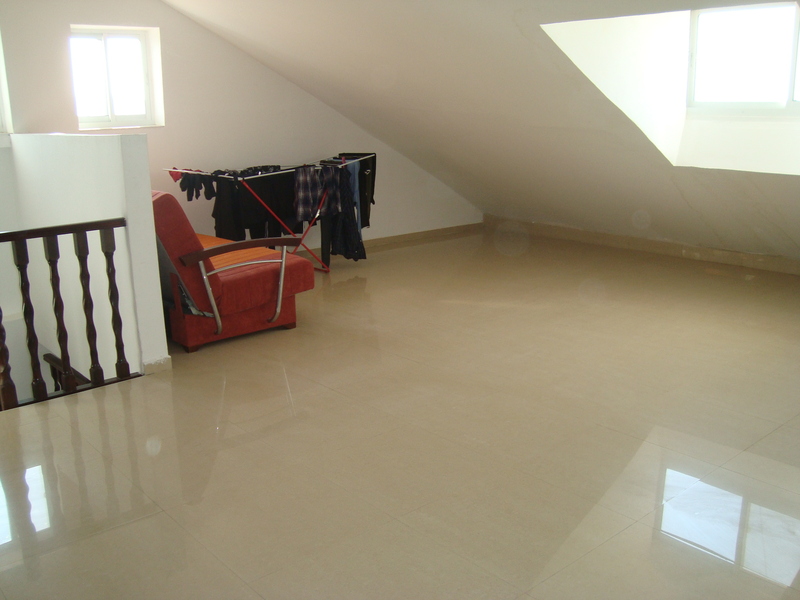 This area could be used as a dormitory style bedroom or divided up into two bedrooms, as a play area / lounge for children or storage. 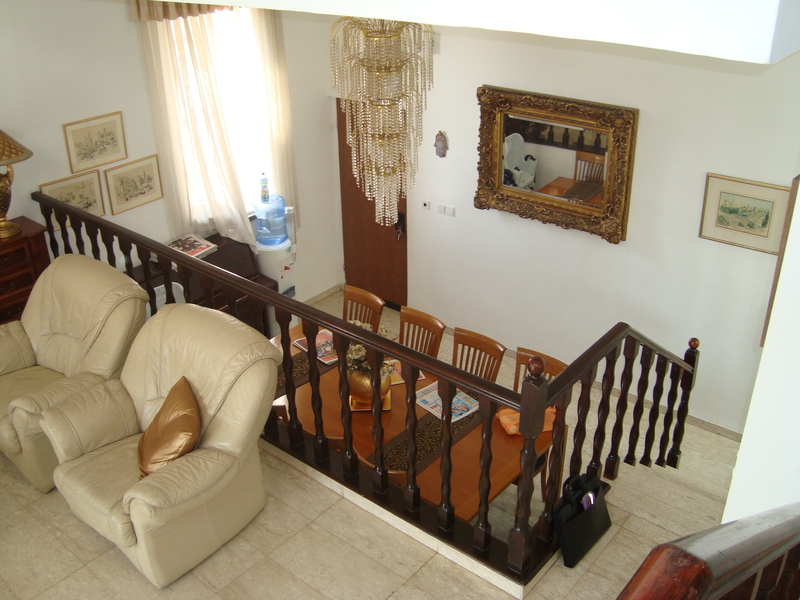 The entire living area in this home is approximately 180 square meters on 2.5 stories. 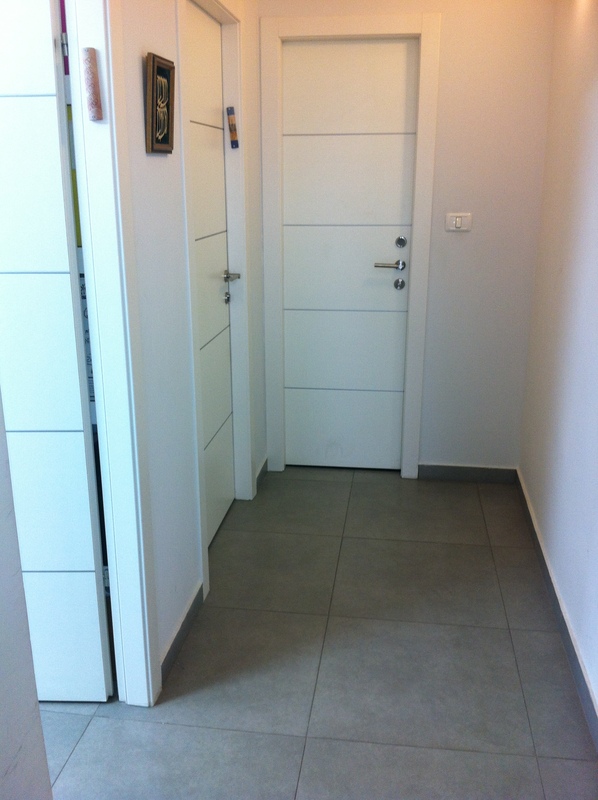 Other features include private parking and storage on the ground level, walking distance to nearby shopping in Talpiot and public transportation.